For the following century, the shelf, or what we now know to be a set of distinct shelves – Larsen A, B, C and D – remained fairly stable. 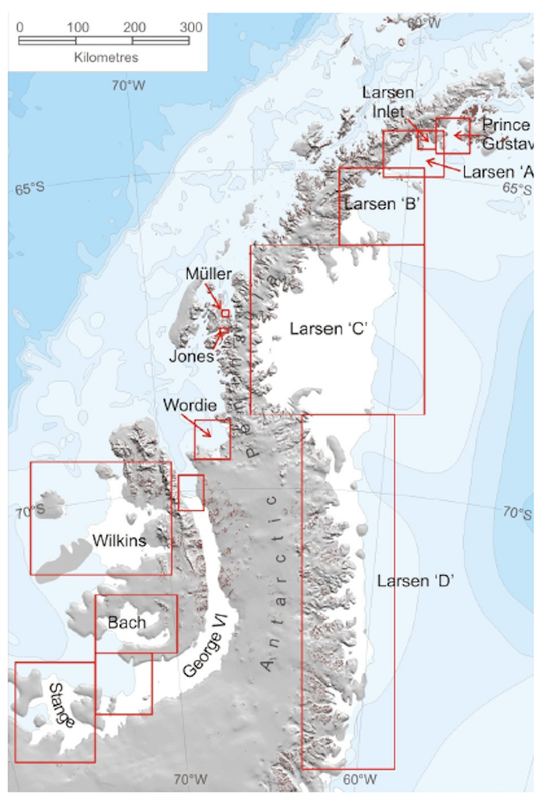 However the sudden disintegrations of Larsen A and B in 1995 and 2002 respectively, and the ongoing speed-up of glaciers which fed them, focused scientific interest on their much larger neighbour, Larsen C, the fourth biggest ice shelf in Antarctica.Back in the 1890s, a Norwegian explorer named Carl Anton Larsen sailed south down the Antarctic Peninsula, a 1,000km long branch of the continent that points towards South America. Along the east coast he discovered the huge ice shelf which took his name. I’m surprised that Adrian Luckman is surprised by the level of interest in this calving event. 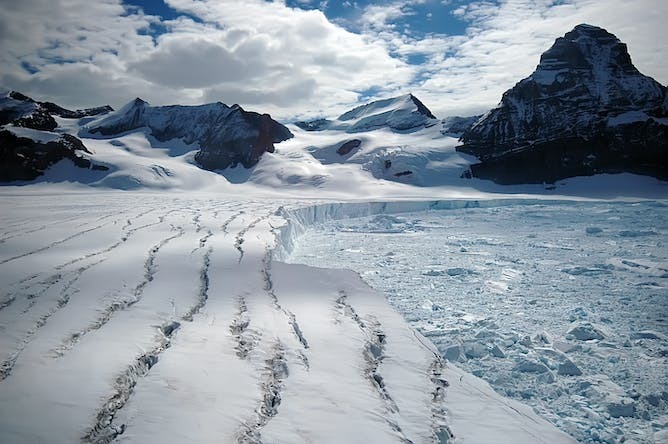 The Antarctic Peninsula is one of the fastest-warming regions on earth and previous ice shelf collapses (further north, and others on the west coast) have been linked to global warming. Understanding and predicting future changes is really important! That is why people are interested. The author’s position seems to be that there is no climate change link unless it can be definitively established for this location considered in isolation. In fact, we know the region is warming, and want to understand the impact of that warming. 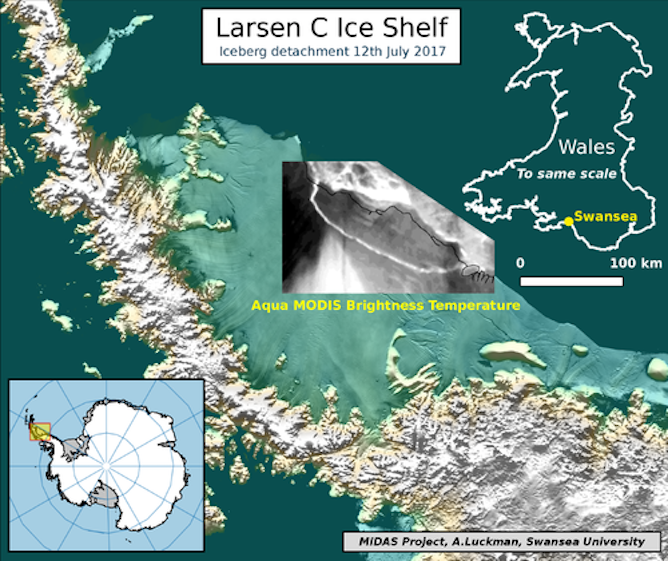 The Bawden Ice Rise is exactly where the iceberg finally detached. Adrian Luckman is gunning for 15 minutes of fame at the expense of a huge teachable moment about climate change. 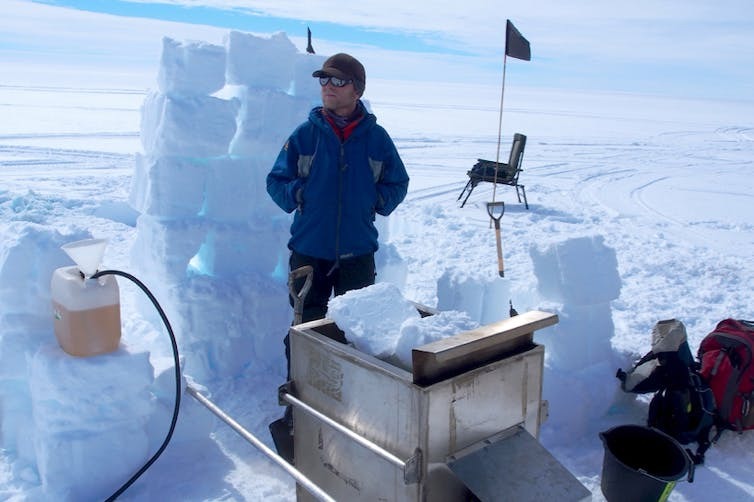 He fancies he knows more about climate change than atmospheric physicists because well, he’s a geologist. Never have I seen such a grotesque insertion of self in media messaging. Except for those other 15 scientists who love to claim there’s a debate about cliamte change. Ugh. Just ugh.